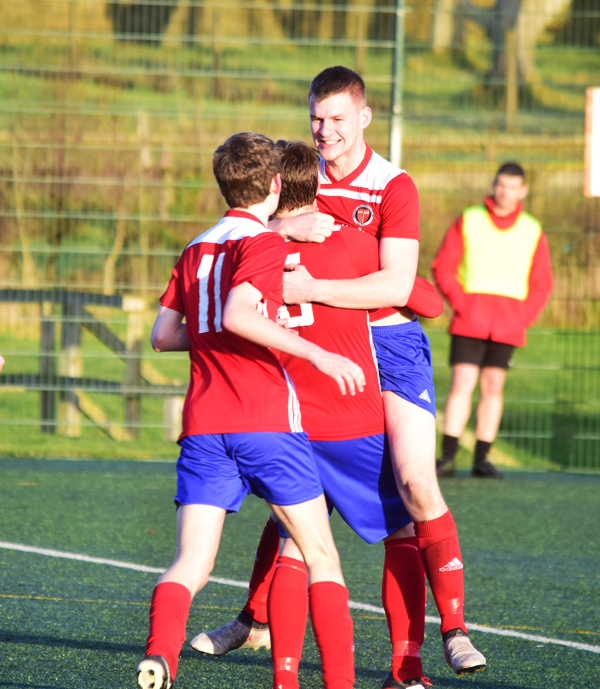 Owen Rendall celebrates with his teammates after scoring the winner against Tain this afternoon. Two second-half goals saw Orkney FC fight back from behind against Tain St Duthus this afternoon. The 2-1 win sees the islanders begin 2019 on a positive note in what was a close contest throughout. Tain got their noses in front before the break; Charlie MacDonald lashing the ball past the returning Cameron McConnachie. Orkney levelled close to 70 minutes through Joe Wilson and captain Owen Rendall sealed the points, forcing the ball into the net following a corner.